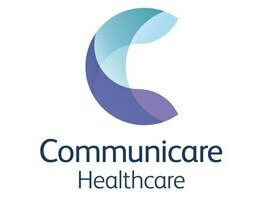 Starting out over ten years ago, Communicare has being delivering exceptional care for clients in private homes, hospitals and residential facilities all over Ireland. With offices in Dublin and Mayo they have a multidisciplinary team of more than 100 healthcare professionals, working 365 days a year that can care for people of all ages with all kinds of needs; from sick children to the elderly, patients suffering from Alzheimer’s and other forms of Dementia, new mothers and their babies, people with intellectual and physical disabilities, hospital and nursing home clients, people recovering from operations and those requiring palliative care. Communicare were considering a move to Microsoft’s Office365 Cloud platform primarily to improve communications between HQ, remote offices and staff. They had heard that the SharePoint component of the Office365 platform could fulfill this requirement but had struggled to locate an IT partner with the required knowledge and skills to help them with the transition from an on premise conventional file server solution to a cloud based document management environment. While many of the partners they engaged with could manage the ‘Email Migration’ component, none could really explain how SharePoint could fulfill their needs or guarantee a successful user experience. ERS were identified as a potential Office365 Migration partner as they had extensive experience with both the Email and SharePoint components of the Microsoft Office365 platform. A demonstration was arranged and Communicare management were shown the key features of the SharePoint document management system and the benefits that this would bring to the organisation. The demonstration explained how SharePoint Sites could represent departments within the company and SharePoint Libraries could be created to represent file folders that they were used to working with. All these structures could be created securely ensuring that only those with appropriate rights could gain access to the appropriate documentation. Add to this the automatic Version Control and full Indexing of all documents that SharePoint provides and Communicare management were sold on SharePoint as the platform of choice. The final solution was a custom built SharePoint Online environment that represented the required Communicare organisational structure. Each department now has its own site created with a familiar library structure where users can drag and drop all their documentation for easy indexing and retrieval. Moving forward, Communicare users can now use the familiar Office Web Applications, Word, Excel, Powerpoint for creating all new documentation and store them directly within their own document libraries. No more forwarding of documents between colleagues by Email as the SharePoint ‘Share Feature’ now allows them to send links to these documents and maintain one document version in one location at all times. And all documentation is available on any device, anywhere, anytime. They are also able to avail of many of the other collaborative tools available within SharePoint including shared company calendars, custom lists, workflows, alerts and the many other App’s available. According to Mark Flanagan, Operations Manager at Communicare, SharePoint has completely revolutionised the way that the company now access, edit and retain information. “It has linked our teams across the country together in a way that was not possible before. What’s more, we have only touched the surface of the capabilities of this powerful software. I know that ERS, using Sharepoint will be able to design systems and interfaces to help streamline processes and drive efficiencies in our company in the future. Moving our IT support to ERS along with the implementation of SharePoint has been a fantastic decision”.